plantation hale suites j8, garden view, ground floor, ac, walk to beach. 1 Bedroom, 1 Bath, ground floor. 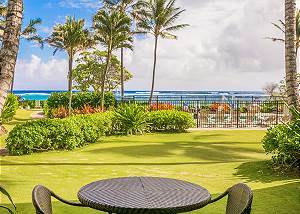 Ocean facing unit with garden views. AC in Living Room, Full Kitchen, Complimentary Wifi & Parking. King bed & sofa sleeper. Sleeps 4. 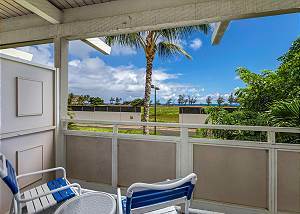 Plantation Hale F8, 1 Bedroom, 1 Bath, Ground Floor, Ocean side of bldg., AC in Bedroom & Living Room, Full Kitchen, Complimentary Wifi & Parking. 2 Queen beds & Air Mattress. Upgraded kitchen & Bathroom! plantation hale suites j16, near shops, restaurants & beaches. ac in unit. 1 Bedroom, 1 Bath, 2nd floor, end unit. AC in Living Room, Full Kitchen, Complimentary Wifi & Parking. King bed and full sofa sleeper. Sleeps 4. 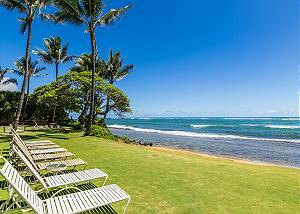 Ocean View, ground floor, remodeled end unit. One Bedroom, 1 Bath, with a Cal King bed and Queen sofa sleeper, full kitchen, complimentary wifi and parking. 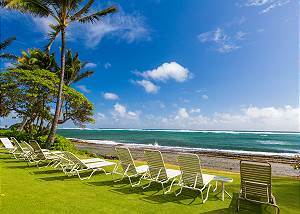 kapaa shore resort #106, oceanfront, king bed, ground floor, comp wifi & pkg. Oceanfront 1 Bedroom, 1 Bath, ground floor unit with tile flooring, Cal King bed and queen sofa sleeper, full kitchen, complimentary wifi and parking. Oceanfront, 1 Bedroom, 1 Bath, 2nd floor end unit with rare washer/dryer in the unit, full kitchen, Queen bed and sofa sleeper, complimentary wifi and parking. Sleeps 4. Oceanfront, 2nd floor, 1 Bedroom, 1 Bath, with Cal King bed and Queen sofa sleeper, full kitchen, complimentary wifi and parking. Sleeps 3. 1 Bedroom, 1 Bath, Ground floor, AC in BR, Full Kitchen, Complimentary Wifi & Parking. Remodeled kitchen, walk-in shower, King Bed and Sofa Sleeper. Sleeps 4. Oceanfront, 2nd floor, 1 Bedroom, 1 Bath, with King bed & Queen Murphy bed in the living room, 50" TV, complimentary Wifi and parking. Newly installed wood flooring & tile walk in shower!